It is amazing how Room manages to tell a story involving some very nasty, mature and disturbing content without ever feeling too graphic. The film doesn’t feel the need to throw all the more gruesome aspects of the tale in your face or tell the story from the darkest point of view. In fact, the point of view is the greatest device this movie uses. Room is told from the point of view of a young boy who has never seen the world outside of the shed he has been captive in for the first five years of his life. Simple concepts make little sense to him and little moments, like a mouse entering the Room, take on huge significance. Using this point of view not only shields the audience from the more mature moments and harder to watch elements of the story but also gives the events a cruel innocence, and ramps up the tension for the parts of the story when the character is in real danger. The young boy, Jack, is played by an amazing Jacob Tremblay. He holds the character brilliantly and it is testament to the actor that you never know you are watching a child acting. He isn’t playing cute or silly, just a lost little boy and at times it makes for a very effective, engaging movie which is nothing less than interesting. 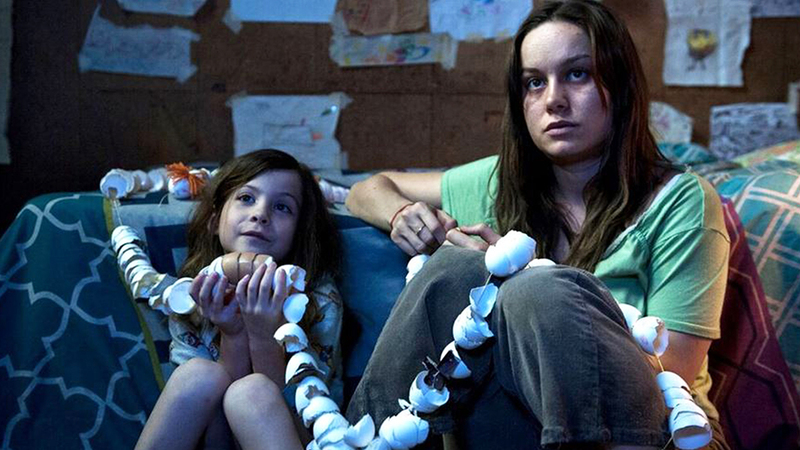 Supporting Tremblay is his Mother, played by Brie Larson. This is her movie in reality, as she goes through much more than her younger co-star. She sells joy, anger, sadness and despair in a soul-destroying way. Watching her planning to say goodbye to her son in a desperate way to escape their prison make for some of the best performances you’ll see this year (or any for that matter). 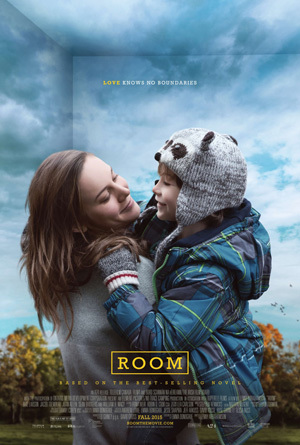 The Room itself is almost a third character and director Lenny Abrahamson does a great job of tricking the audience. The Room will be seen many times through the film, in different guises, and at any one time it feels different. As Jack and his “Ma” go through transformations, their prison does too. It is difficult to talk about the second half of the movie without giving too much away. The trailers for the film tell most of the story but it is best to go into this movie with little to no preconceived ideas. If you have no idea what the original book is about, you will be surprised with the direction the film takes but it does cover some very interesting aspects of being a captive and also a person who has been shielded from the world for their whole life. The second half of the film also holds some of the best moments of the movie. You will feel an emotional attachment to the two central characters so their triumphs, failures, struggles and moments of success mean so much more. 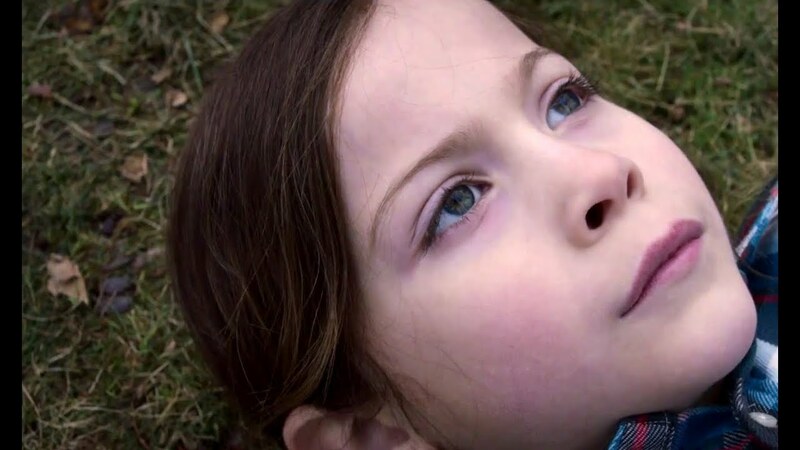 There is nothing too fantastical in Room but it is in the harsh, grounded realism that lies the biggest success of the movie. Overall, Room demonstrates that any situation, no matter how harsh, ugly and horrible, can be made manageable through the eyes of a child. 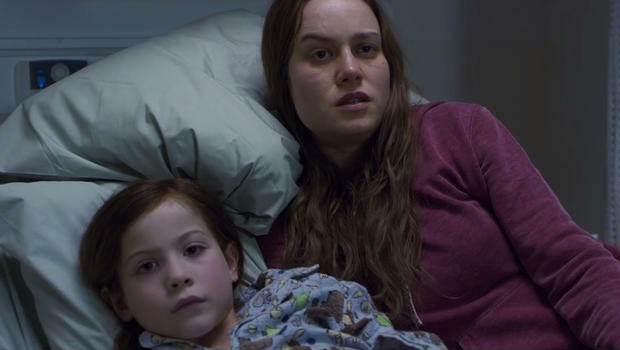 Luckily, that child is the excellent Jacob Tremblay and together with the just as brilliant Brie Larson, you get a story that will surprise, delight but at times scare and devastate as well. The perfect combination. Next Next post: What if… Trailers could only use the first thirty minutes of the movie?